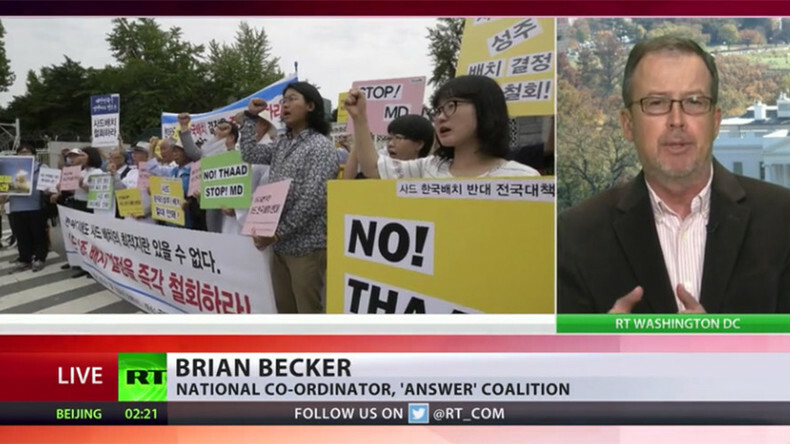 Mass anti-government protests in South Korea, along with a change of rhetoric by some other US allies in the region, including the Philippines, have upset the apple cart for the US and its Asia pivot, says Brian Backer of the Answer Coalition. Hundreds of thousands of people took to the streets of Seoul on Saturday to demand the resignation of South Korean President Park Geun-hye amid allegations that she allowed her friend, Choi Soon-sil, meddle in government affairs. 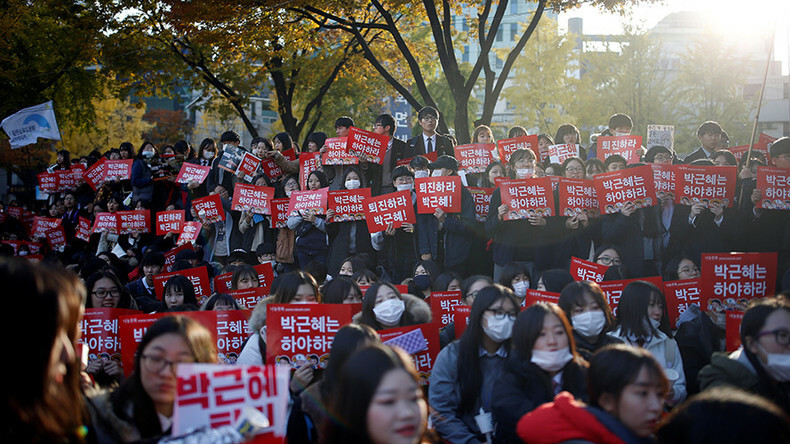 Local media reported that a million protesters took part in the rally in downtown Seoul. Police estimated around 260,000 people. Saturday’s rally is one of the largest anti-government protests seen in South Korea in decades. RT: Does President Park have a chance to keep her post after the mass protests? Now [Park Geun-hye’s] approval rating is about 5 percent. I don’t see how she survives. RT: How worrying is the situation for Washington? BB: I really think it upsets the apple cart for the US and for the so-called ‘Asia pivot.’ Park Geun-hye was sort of a reliable ally. Not only the US occupy South Korea, but Park Geun-hye – in defiance of the South Korean population’s own desires – has gone along with the Pentagon to deploy THAAD, the so-called high altitude missile shield in South Korea. [That] makes of course South Korea and its people the target in any kind of global conflict. The people of South Korea don’t want that. 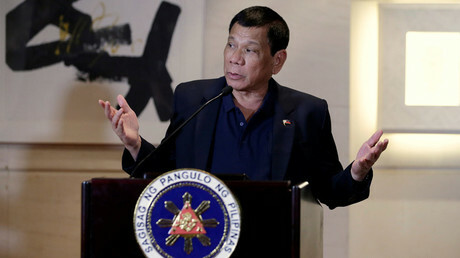 You just had President [Rodrigo] Duterte in the Philippines, another key of the US, renouncing the idea that he could be a puppet of Washington when he went to Beijing. I think the Asia pivot is in shambles and I think what’s happening in South Korea is extremely important to the deterioration, perhaps complete and utter failure of this policy. 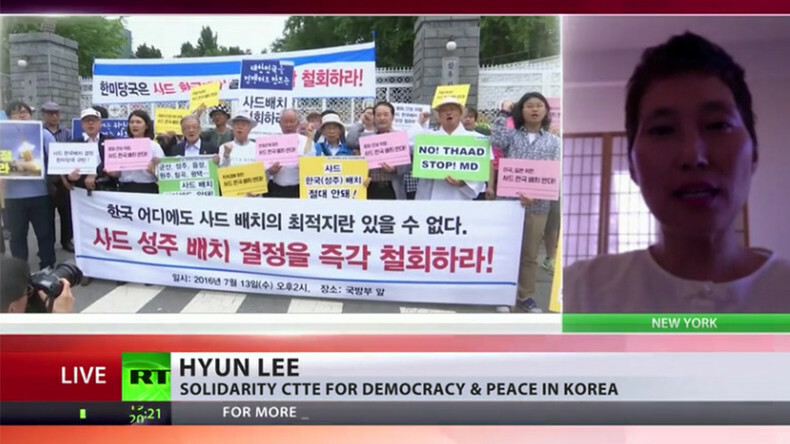 People in South Korea have been living in fear under President Park with the country turning into “a police state,” says Hyun Lee of Solidarity Committee for Democracy & Peace in Korea. In July, Seoul announced that a US THAAD anti-missile defense unit would be deployed in Seonjgu, despite protests by local residents. Lee, along with another activist, was denied entry to South Korea this summer to participate in a peaceful protest against THAAD.